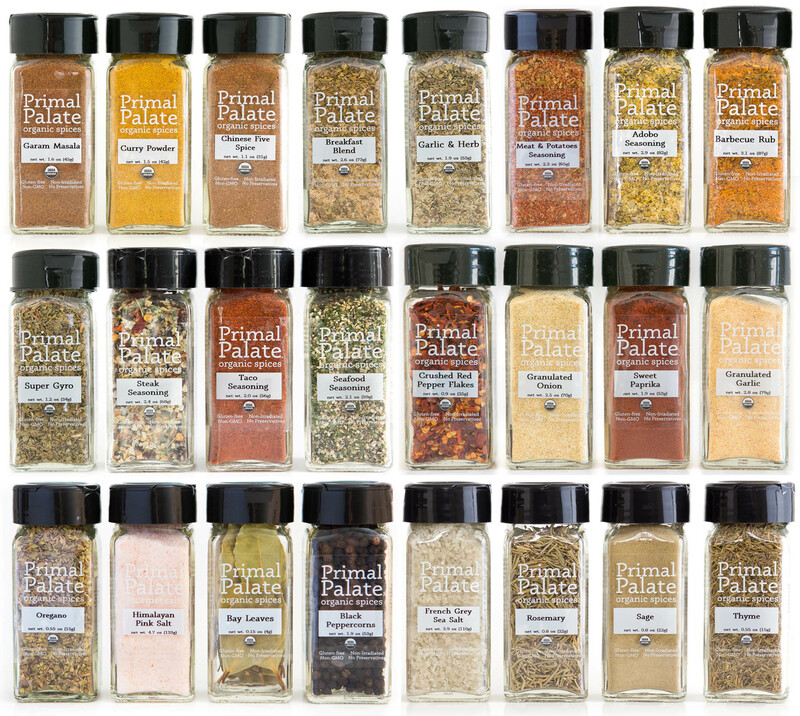 Our Essential Spices Bundle contains all our basic spices, perfect for the home cook that wants a complete spice overhaul! Basil: Our dehydrated, organic basil retains a slight anise undertone and is a perfect last-minute addition to sauces, fish, meat and poultry, vegetables, and fresh tomatoes. Bay Leaves: Our superb Turkish Bay Leaves are fragrantly sweet, with hints of lemon and cloves. Use in soups, stocks, sauces, roasts, or add to marinades. Remove before serving. Black Peppercorns: Our Black Pepper stimulates your tastebuds with subtle heat and exotic flavor. It can be used to accent dishes in nearly every cuisine. Grind just prior to use to experience best quality. Cayenne: Cayenne is the perfect ingredient if you’re looking for a little heat in your cooking. At 40,000 Scoville units, this chili pepper is great for kicking things up a notch without overwhelming the dish. Cinnamon: The pinnacle of fall flavors, Saigon Cinnamon brings warmth to your favorite dishes all year round. The bold flavor of this variety instantly makes any dish cozy and comforting. Crushed Red Pepper: Our organic Crushed Red Pepper Flakes can add a touch of heat to just about any dish. Use it anywhere you need a little extra kick. Cumin: Our organic cumin boasts a sophisticated, distinctive warmth, and is one of the most globally used and recognized spices today. French Grey Sea Salt: Known in France as “sel gris” (grey salt), this salt is prized for its moist, delicate crystals and rich ocean flavor. Use this versatile finishing salt to flavor your beef, lamb and poultry dishes. Ginger: Ginger has been cultivated for over 3,000 years. Ancient writings suggest ginger for healthy digestion; we suggest it for an aromatic and spicy-sweet flavor. Granulated Garlic: Garlic has a long history of use for culinary and medicinal purposes dating back 7,000 years. We love it for its spicy flavor that mellows and sweetens with cooking. Granulated Onion: Onion is a must-have flavor in the kitchen. With its sweet and savory flavor, onion is a cornerstone in every cuisine and will liven up almost any recipe. Himalayan Pink Salt: Considered to be the purest of all salts, mineral-rich Himalayan Pink Salt is an amazing flavor enhancer, perfect for all types of dishes. Oregano: Indispensable to tomato based sauces, Italian, Mexican and Spanish dishes. Whole leaf oregano is prized for its aroma and mild, sweet flavor. Parsley: Our organic parsley, with its bright, yet earthy flavor is an essential ingredient in many cuisines and adds a delicious freshness to a range of savory dishes. Rosemary: Rosemary is a fragrant, woody herb that imparts a distinctive flavor and aroma in cooking. This versatile herb pairs especially well with chicken, turkey, lamb, and pork. Sage: Sage has legendary status as both a medicinal and culinary herb. Enjoy this herb, with its slightly peppery flavor, on your holiday roasts, poultry and other meats. Sweet Paprika: Sweet and fruity with vibrant color that will add brilliance to your meals. 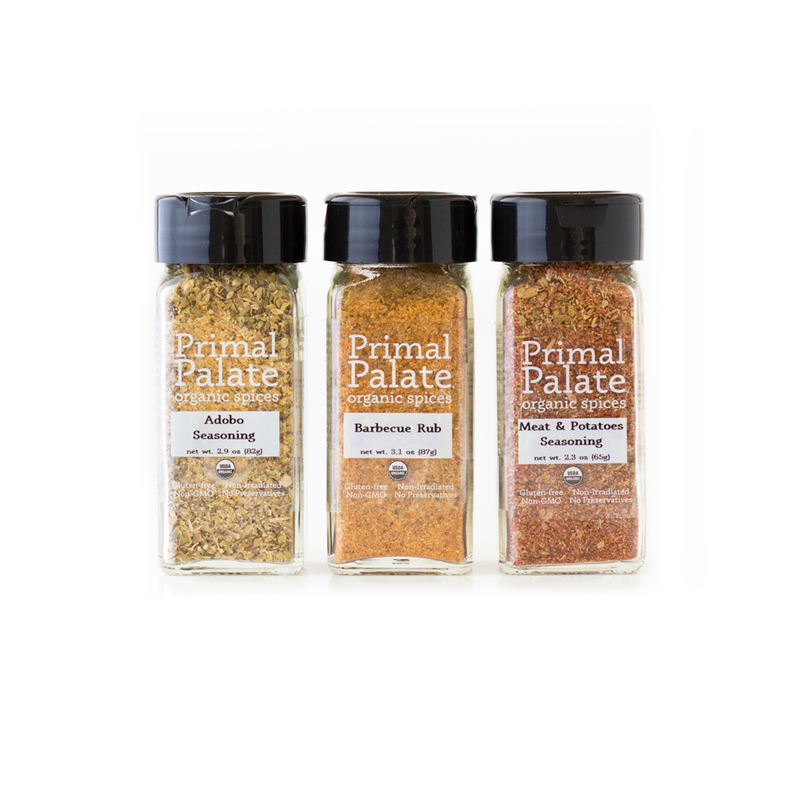 Not just for garnishing, our paprika brings wonderful flavor and aroma to everything from roasts to curries. 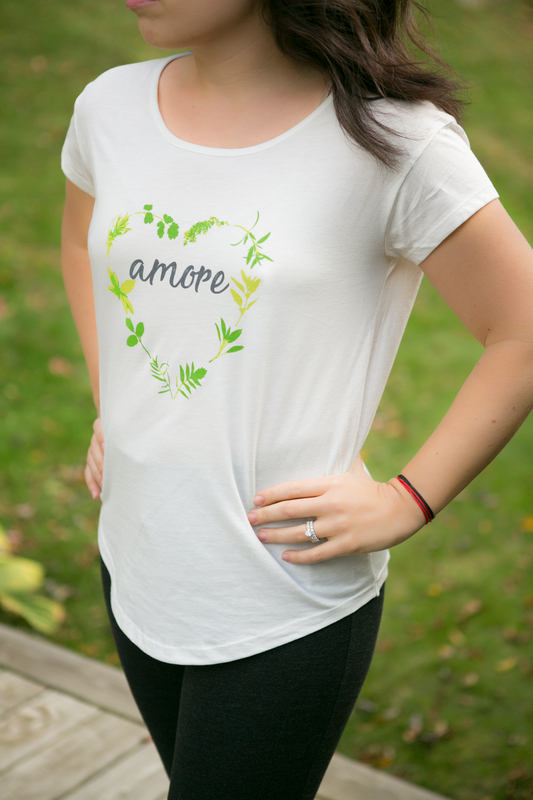 Thyme: Thyme is one of the oldest and most popular herbs. Its distinctive flavor complements most hearty and savory dishes including soups, roasts, and vegetables. Truffle Salt: Fine sea salt combined with flecks of black truffle. Use as a finishing salt on eggs, meat, soups, or whatever your imagination can conjure. Packaged in a bag within the bottle. Turmeric: Long used as an anti-inflammatory in Eastern cultures, Turmeric has a peppery and warm flavor, with aromatic hints of orange and ginger. 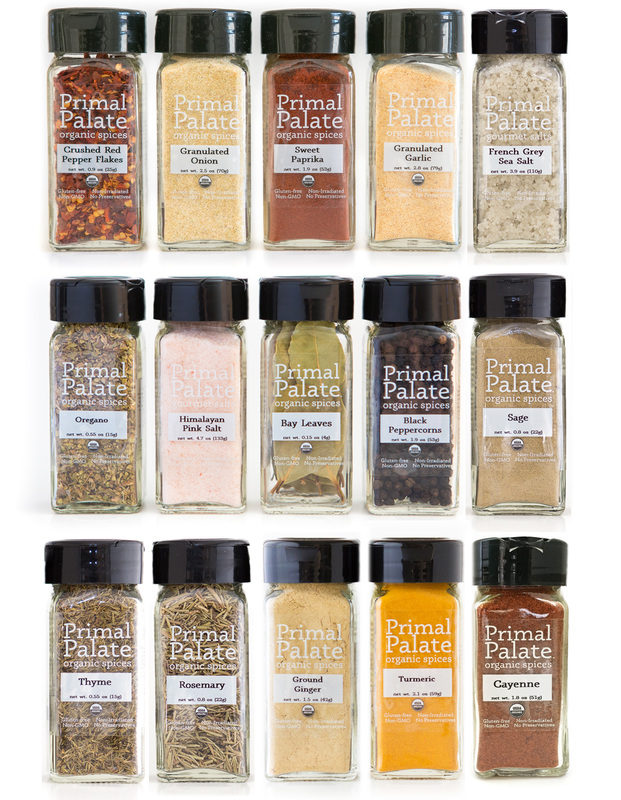 All of our spices are USDA Organic, certified gluten-free, OU Kosher, Non-GMO, and Non-Irradiated. It means you can enjoy their many flavor and health benefits without worrying about their quality.